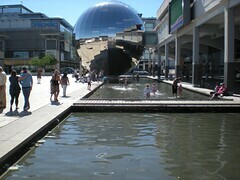 When you travel to or from Bristol, it is a good idea to make everything as easy on yourself as possible. From the quickest way to book your flight to the most efficient way to get from the airport to your hotel, it is all about making life simple. The simpler the process, the less that can go wrong. That is why you should consider booking your parking at Bristol airport in advance, and make one more step in the process easy and worry free. There are a couple of airport car parks to choose from when booking in advance at Bristol International Airport. Bristol Long Stay Parking – This car park is on airport and offers short transfer time to the terminal. Bristol Airport Meet & Greet – You will be met by a chauffeur at your departure terminal. Bristol International Airport (BRS) is located roughly eight miles from central Bristol and has service from more than 15 different airlines. In addition to destinations throughout Europe, flights from Bristol also land in parts of northern Africa, the Caribbean and even the United States. The airlines which have the most frequent flights to and from Bristol are European low-cost airfare giants easyJet and Ryanair. While you can catch a flight on Continental Airlines from Bristol to Newark in the US, you cannot fly from Bristol to any London airport.